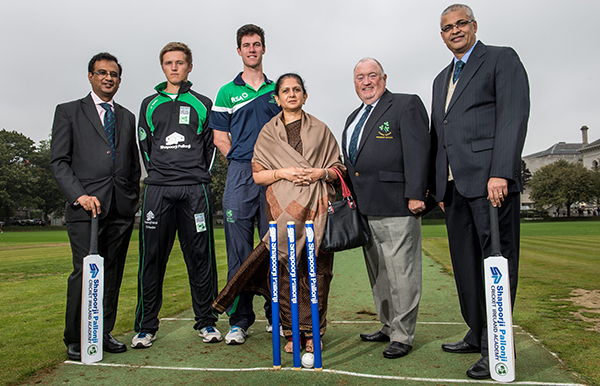 The Shapoorji Pallonji Cricket Ireland Academy, established in 2013, aims to identify and support the most promising young male and female players in the country providing them with a bespoke world-class player development program under the ethos of supporting them to be ‘the best version of themselves in life and cricket’. The purpose of the Academy is to develop resilient, confident cricketers of the future, who are ready to perform on the world stage. To deliver this, we create an environment that provides a holistic, player-centred programme allowing the next generation of players, with the ability and desire to learn and be challenged, with support from Specialist Coaches and Mentors in all fields of High Performance and lifestyle. The Academy also supports overseas placements of players and operates annual pre-season camps at our High Performance Centre in La Manga Spain. In 2016, under Academy Manager Peter Johnston, Cricket Ireland expanded the Academy Programme to include a Women and Girls Academy, an Emerging Academy (for the most promising Youth cricketers), and a Male Senior Academy (considered a ‘finishing school’ for any age along the pathway towards becoming a professional Irish cricketer). • the Academy has already produced three full-time professionals for Ireland (Peter Chase, James Shannon and Simi Singh). Ross Allen, Rory Anders, Aaron Cawley, David Delany, Stephen Doheny, Shane Getkate, Fionn Hand, Tyrone Kane, Graham Kennedy, Josh Little, James McCollum, Robert McKinley, Max Neville, Nathan Smith, Tom Stanton, Harry Tector, Jack Tector, Lorcan Tucker, JJ Garth and Neil Rock. Anna Kerrison (Leinster), Leah Paul (Merrion), Lara Maritz (Clontarf), Ruby Neville (Merrion), Caoimhe McCann (Malahide), Cliona Tucker (Pembroke), Cara Murray (Saintfield), Louise Little (Pembroke), Orla Prendergast (Pembroke), Amy Hunter (Instonians), Ellen Ridgeway (Leinster), Robyn Lewis (YMCA), Rebecca Stokell (Leinster). Pete is the National Academy and Peformance Manager and Wolves Head Coach. He spent a decade working with the Senior Team as Assistant Coach and was a part of the journey from amateur giant killers at the World Cup in 2007 to earning the right to become a Test Nation with Full Membership in 2017. Pete is an ECB Level 4 Coach, and as a player he represented Ireland at Development XI standard (equivalent of the Ireland Wolves). Ryan is the National Academy Performance Coach and Head Coach of the Ireland Under-19s. He is a very highly regarded coach and is passionate about Irish cricket and working with young players. Ryan’s role also includes National Talent Identification. Under Ryan’s Coaching, the Under-19s enjoyed their most successful World Cup in 2018 with three wins. Ryan is an ECB Level 4 Coach specialising in Pace Bowling. He represented Ireland and has 65 Senior Caps for Ireland, while he also played as a Professional with Derbyshire CCC. Aaron Hamilton joined the Cricket Ireland staff in 2015. Born in Queensland, he has over 17 years’ experience working in different sporting and cricketing environments, including seven at the WACA, where here worked as bowling and assistant coach at Western Fury. He heads up the Women and Girls Academy, which has expanded from seven players in 2016-17 to 12 in 2017-18. The Shapoorji Pallonji Group (SP Group) founded in 1865 is a business conglomerate based in Mumbai, India, with interests in construction (including residential, commercial and industrial), real estate, infrastructure (comprising power, ports, rail and roads), biofuels and agriculture, consumer products, electro-mechanical and MEP services, water treatment, oil and gas, EPC contracting, facades and interiors, engineering, textiles and shipping and logistics. Today, with over 26,000 employees and more than 20 sectors, Shapoorji Pallonji has evolved and grown exponentially into multiple business segments with a progressive outlook and a thoroughly professional approach. 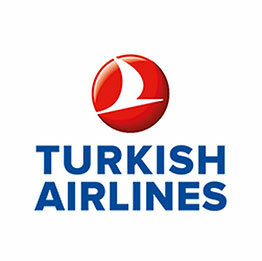 The Group today has a strong presence in India and internationally including the Middle East, Continental Europe, South East Asia and Africa. With a rich legacy of over 149 years and a consistently superior track record, Shapoorji Pallonji remains committed towards excellence in each domain of its operations.